Video calling is a unique technology that has been around longer than most people might think. It naturally started off on desktop computers and then very slowly made its way onto some mobile phones. In 2010, Apple “reinvented” the video calling experience with FaceTime for iPhone 4, and later iPad, iPod touch, and Mac. It is true they did simplify it dramatically by removing the need for an account with a list of friends, but there is one key factor they overlooked: formality. 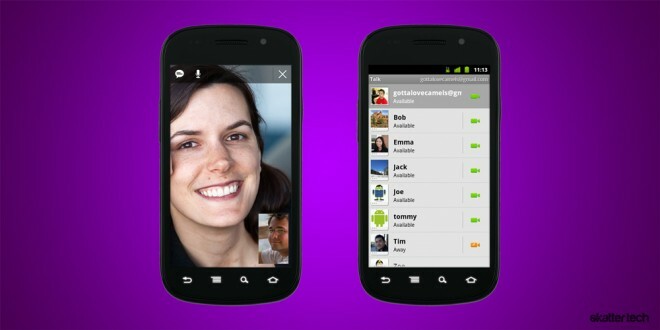 In almost every video chatting service, there is a process the users on either end must partake in. One user must send an invitation to initiate a video call with the other user, and that other user must accept or decline it. As you might expect, if the user on the receiving end accepts the call, the chat begins. No one — even the most recent services — has ever made any attempts to change this specific process because people do not necessarily find fault with it. Until now. It is a known fact that video calling has yet to take off, albeit it is slowly and steadily growing. Apple thought with FaceTime, they were the ones about to make video chat an every day event. To the company’s credit, they did popularize it more in smart phones, but I have a hard time believing the success of FaceTime is up to their original expectations. Google+ is trying to change all of this with Hangouts. The team behind the emerging social network clearly re-imagined the way we all communicate online. They found fault in an area no one else did. The whole process of sending and receiving an invitation just to talk to someone is too formal. Nobody wants to participate in anything formal online, especially when it is among friends. The rise of instant messaging and social networks has made the Internet incredibly informal. The beauty of Google+ Hangouts lies within the process. 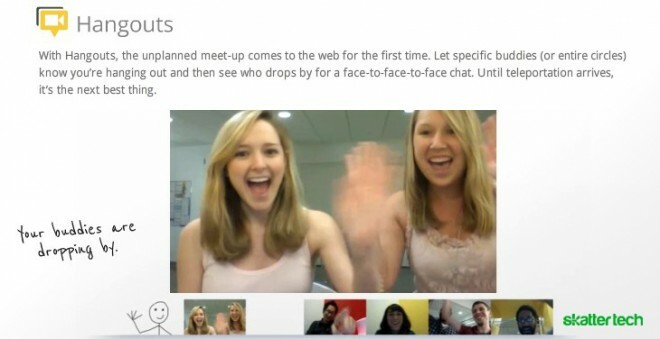 One person decides to start a hangout, and Google+ publishes this news to the stream. In essence, the person is making an announcement saying “Hey, I am at my computer and ready to hang out with whoever is available.” If this is too vast for some people, users can limit this broadcast by circles or individuals. Anyone following can then decide to join and with one click, two or more people are video chatting. It is brilliant. Google+ features the user currently talking front and center and packs the rest into smaller thumbnails. This makes for an experience even more like a real life get-together. If sitting at a table with multiple people, you always look at the person talking to you. It is very unlikely you are staring at the person not making a sound. Another large chuck of the Web suffering due to its formality is email. Think about it. Every time you send an email, you must fill out the recipient or recipients, add a subject line, and type your message. And more often than not, we format our emails the same way we format a letter. All this formal writing just does not work for Internet users anymore. We are so accustomed to text messaging and status updating quick blurbs of information, some of which manage to break every rule of grammar in the English language. This is why email is continuously becoming more business-oriented and less of a casual communication tool. I pointed out in our review of Google+ that if anything is going to lift service up above its competition, it is Hangouts. The new approach to video calling just feels right. It can easily revolutionize the entire experience, and it could give video calling the boost its been yearning for so long. Now, Google must figure out a way to keep the enemies from stealing the innovation behind Hangouts and putting it into different products. The company successfully completed the first challenge. Now on to the next.